We keep bees, grow garlic, and raise and board donkeys. I am also an author, speaker, consultant and faculty member at NC State University. 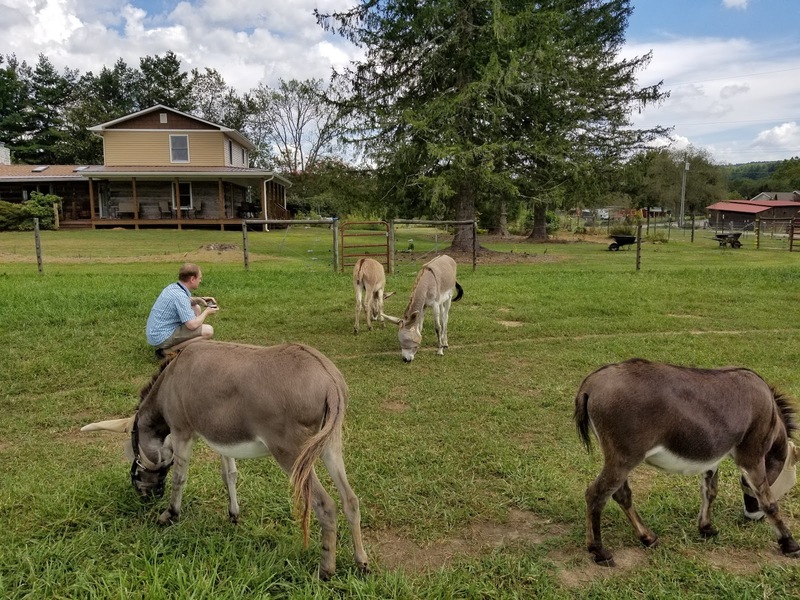 Here you can read about life on our farm; learn to grow woodland herbs, including ginseng; view cute donkey pictures; order my book and farm products; and contact me about speaking engagements. IF YOU ARE ON A SMART PHONE: CLICK “HOME” TO VIEW OTHER PAGES AND "VIEW WEB VERSION" (BOTTOM OF PAGE) TO ACCESS PAYPAL BUTTONS AND MESSAGING. 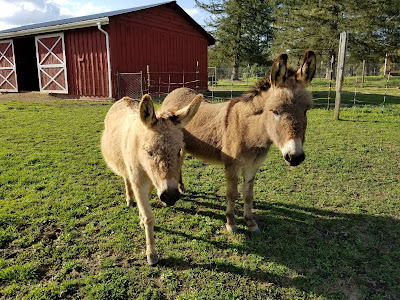 This week two new donkey boarders joined us on Our Tiny Farm. Meet Wilma, on the left, and Clara, on the right. 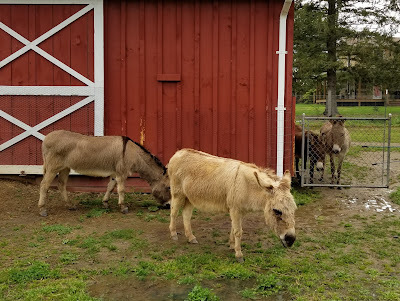 They are twelve years old and just the sweetest little donkeys. We still have them separated from our two (you can see ours peeking at them from behind the gate), but I think they will settle in quite nicely. 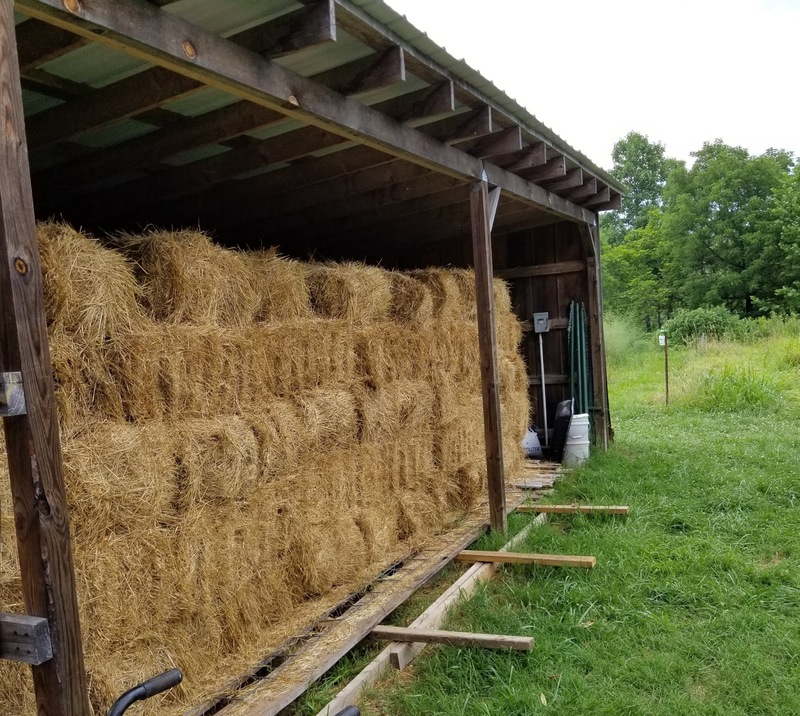 Our Tiny Farm Goes International! We aren't really doing international sales, but a customer bought a box of jars of our honey yesterday to take to Korea as gifts! Thought that was pretty cool! 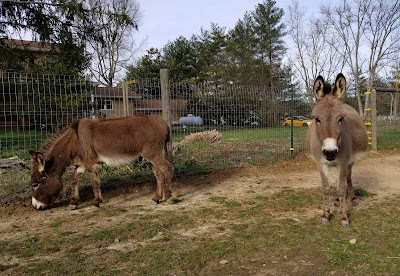 Chester (on the left) and Meadow (on the right) are enjoying the mild weather and sunshine we have had lately. 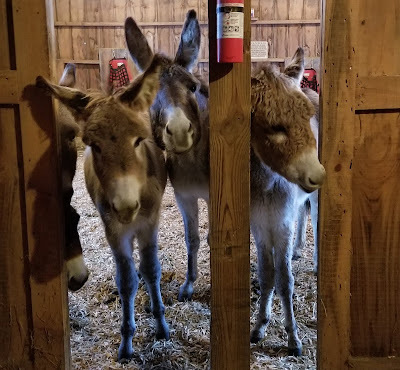 Little do they know that in a few short weeks, they will have two more donkey companions. Glen and I are looking forward to have new boarders. Daffodils are blooming on the farm. This is my favorite time of the year with buds bursting, grass turning green, and peepers peeping at night. 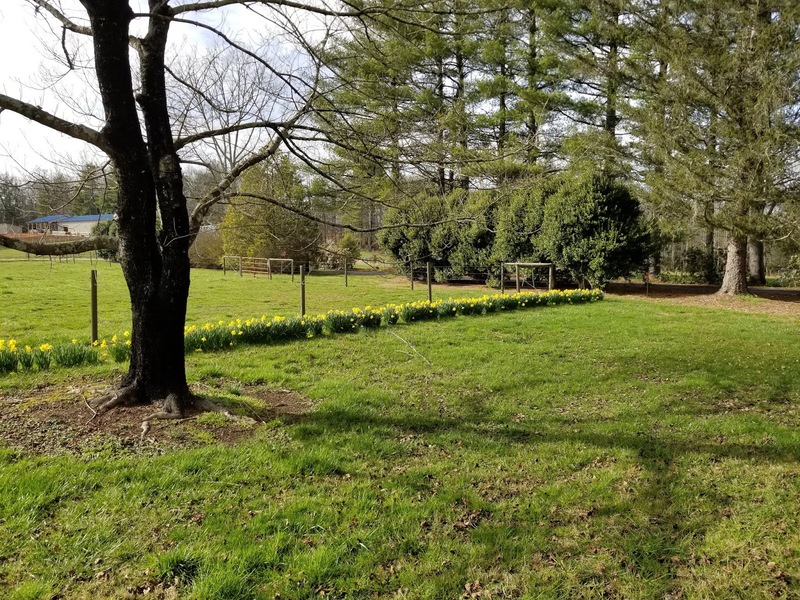 It's a good time to plant that woodland garden you have been thinking about all winter. My book on how to do just that is on sale for $30; that includes shipping. If you can't see the Paypal buttons on the right to order it, you are probably on a mobile device. Just scroll to the bottom of the page and click on "view website" and the right sidebar will magically appear! Last weekend was bittersweet for us on Our Tiny Farm. 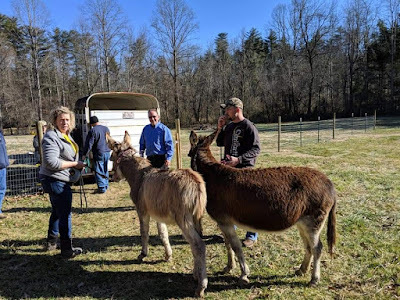 Our longtime boarders, Faith, Hope, and Cory, left our farm. That was the sad part. But the happy part was their owners finally had their own new farm, barn, and paddock all ready and waiting for them. Their new home is beautiful and the owners love having their ear longears right there with them. We all hope to stay good friends, too! Initially our two donkeys were confused and kept looking for their herd. Then they were upset and didn't want us to even pet them. That made it interesting when we had to blanket them when it got so bitterly cold for a few days. But yesterday they decided we were all good once again. So, we are accepting boarders again. 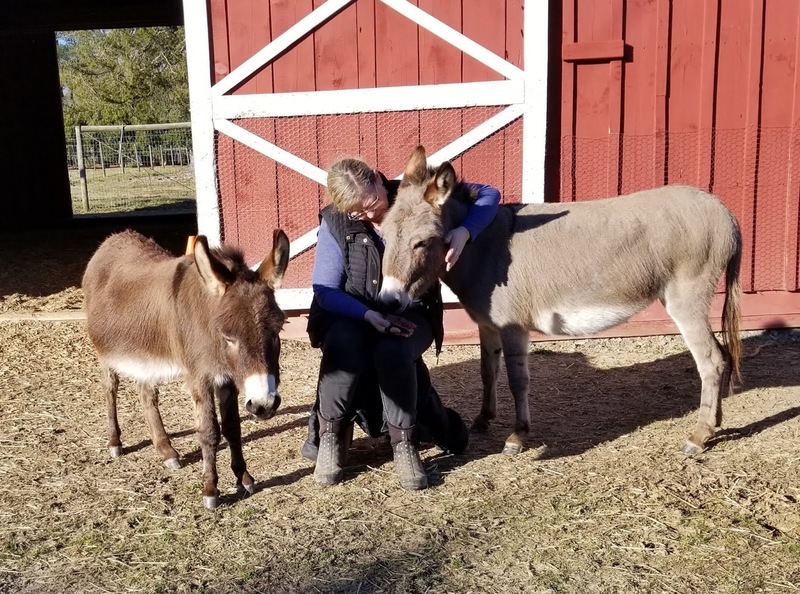 If you need a loving home for your horse or donkey, just contact us. 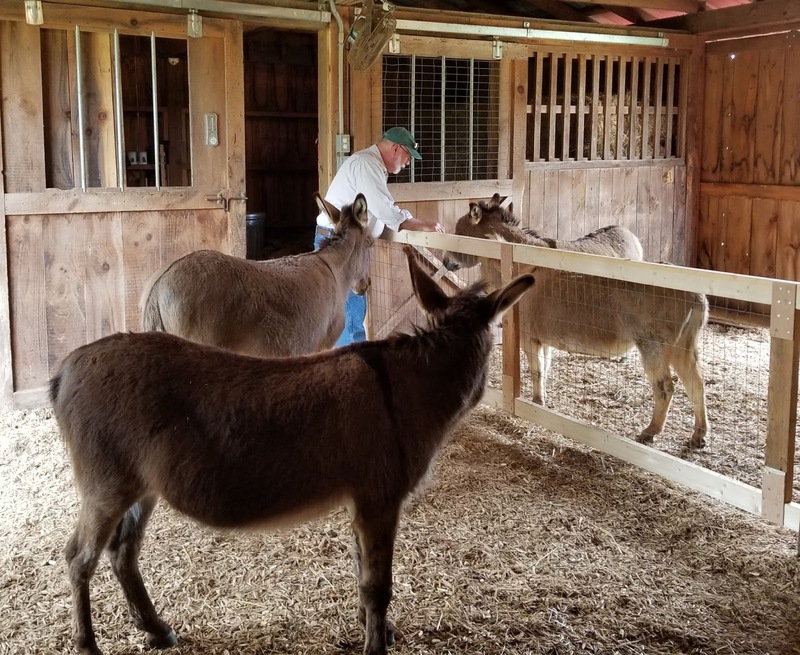 We take excellent care of our equines. Just ask these three! We have a family member, who will remain nameless, who accidentally bumps buttons on his key fobs with undesirable, and sometimes unknown, consequences. 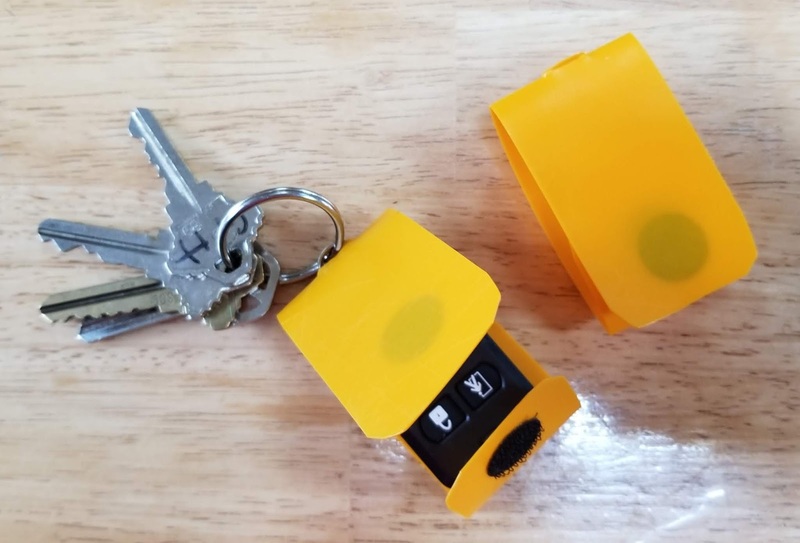 I went searching for key fob covers/protectors and found they were all very large and needed two hands to operate. So today I made one. It works so well that I made several for other family members, too. Here's how to do it. 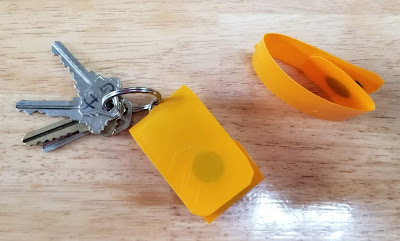 I made a prototype first with paper to get the right dimensions and test it out. 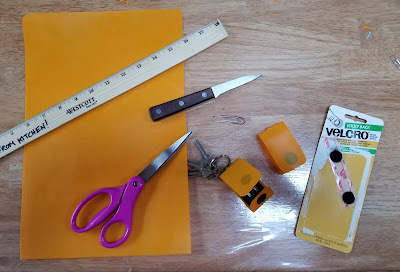 Then I just cut a length of the cutting board with the scissors, made a slit with the knife for the ring on the top of the fob, slid a paper clip through the ring, used the paper clip to pull the ring through the slit, folded the plastic around the fob, positioned the Velcro buttons, rubbed the Velcro buttons on firmly (using the handle of the scissors against the table, not the fob), and it was finished! Make it any color you want. 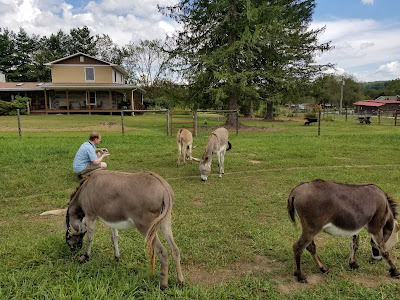 Currently we have five donkeys on Our Tiny Farm. Two of them, Chester and Meadow, are ours. The other three are boarders. 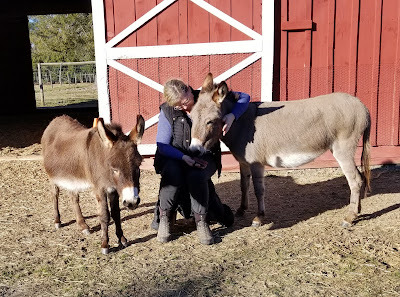 We have Faith, the mother, Hope, her yearling daughter, and Corey Love, her son who was born just a few months ago. They make for a very happy, and entertaining, little herd. 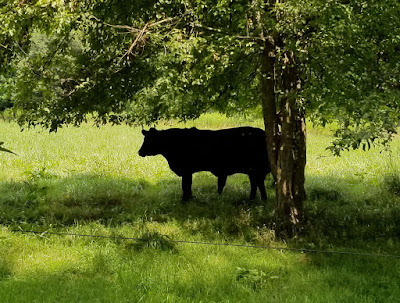 We have Black Angus steer on the farm again. These two aren't ours. 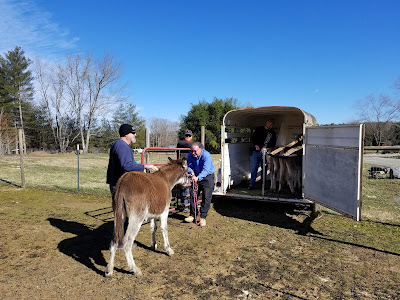 They belong to a friend, but I missed having the big boys on the pasture so we are happy to give them a home. We grew a small garden this year, mostly for the family. 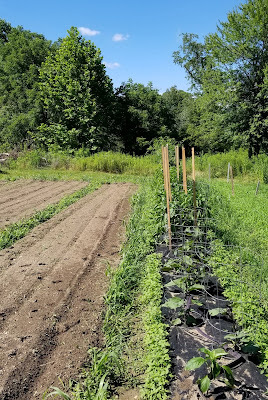 We have enjoyed delicious summer squash, lots of tomatoes, a wide variety of peppers, eggplant, sweet corn, and peas. In late June, for the first time, we had hay from our pasture cut and baled. We are very pleased with the quality and it will make for a good savings for us this winter. We plan to do a second cutting in October. In May we received about 21 inches of rain in a two to three week period. This was bad timing for our garlic crops. We lost all of the elephant garlic. The hard necked garlics survived but the bulbs are small. 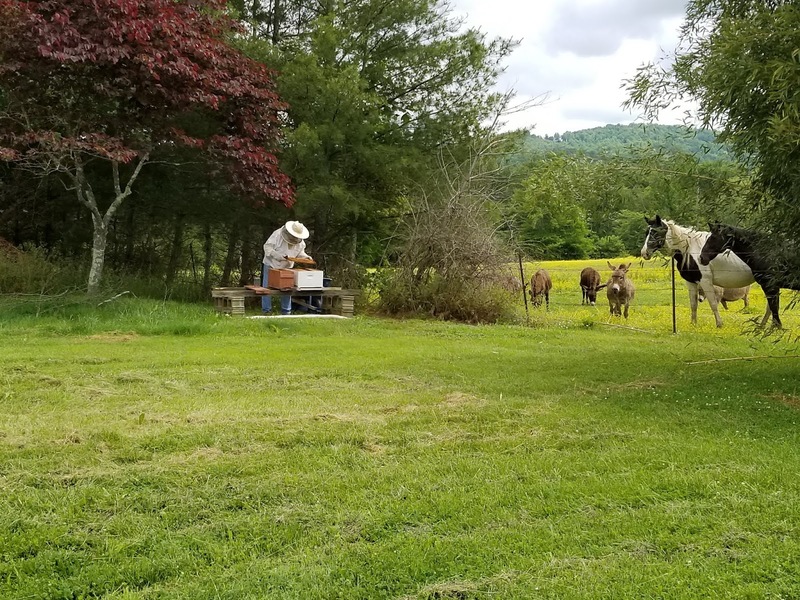 We cured them and they taste good, but because their quality is not what we like to provide to our customers, we will not be selling it this year. 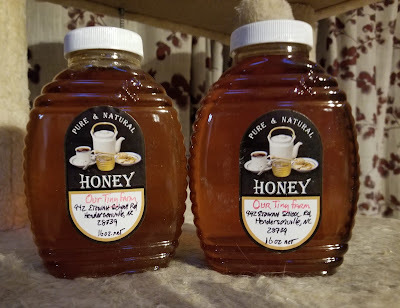 We did have a great honey crop this year. Most of it was sold at the Obermiller Strawberry Farm nearby during their strawberry and blueberry seasons. 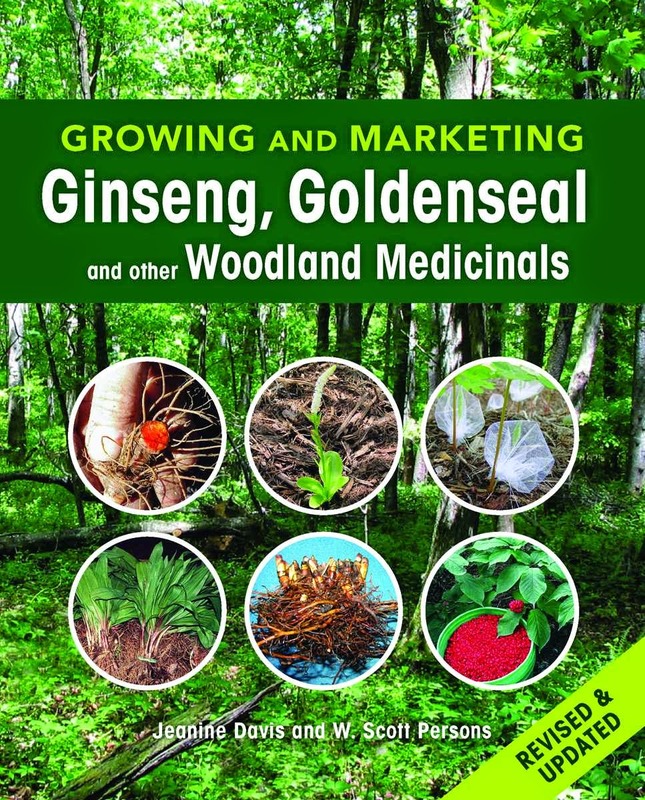 Extended Sale on Our Book for Growing Ginseng, Goldenseal and More! The response to my September book sale was so good I've decided to continue it for a while longer! I am offering a lead author signed copy of our book for $30, that's with media mail shipping included (+ tax for sales in NC). So, order now by clicking on the top "Add to Cart" button on the right side bar. If you don't see a right sidebar, you are probably working from a smart phone and in the mobile version. Just scroll to the bottom of this page and click on "View web version" and the sidebar will show up. Thank you for growing these wonderful native medicinal herbs!! I just received a new shipment of books. So as we near the start of the ginseng planting season, I am offering a lead author signed copy of our book for $30, that's with media mail shipping included (+ tax for sales in NC). This sale is good from Sept. 15 through Sept. 20, 2017. So, order now by clicking on the top "Add to Cart" button on the right side bar. If you don't see a right sidebar, you are probably working from a smart phone and in the mobile version. Just scroll to the bottom of this page and click on "View web version" and the sidebar will show up. Happy ginseng planting!! The Second Edition of Our Popular Book is Available to Order Here! 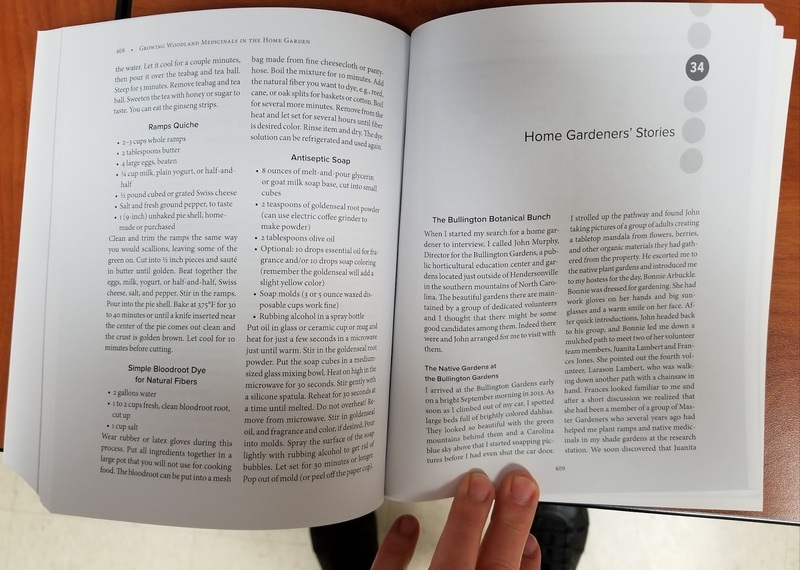 Our fully revised, updated, and expanded book (over 500 pages) is packed full of practical information on cultivation of more than a dozen sought-after shade-loving medicinal herbs. For a copy signed by the lead author, Jeanine Davis, you can order here through Paypal (credit card, debit card, or Paypal account). Just click on one of the options below. Currently, I am only shipping to the lower 48 states and District of Columbia. To pay by check or if you want to buy a volume of books at a discount or make arrangements for your organization to sell them as a fundraiser, send me a message on the Contact Form below. There is more information on the Book tab above. I am an associate professor and extension specialist in the Department of Horticultural Science at North Carolina State University. 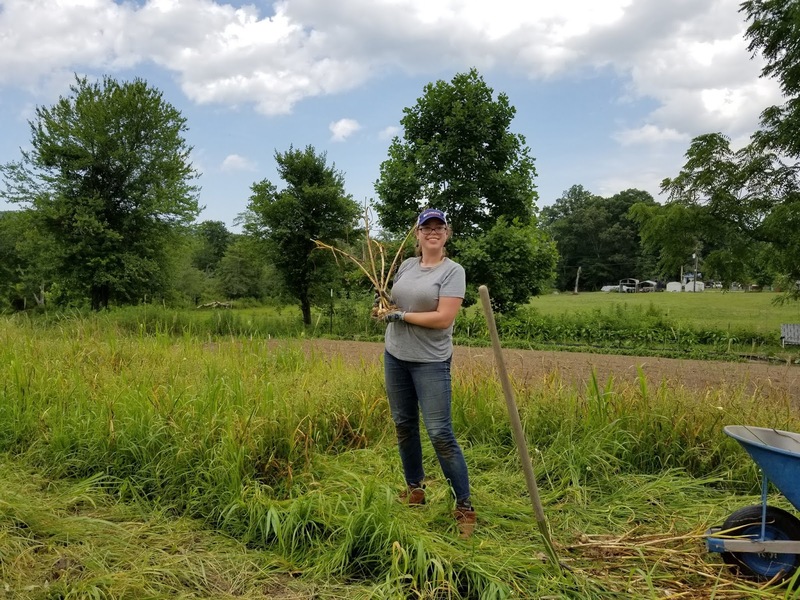 My research and extension programs are dedicated to the development of sustainable and organic production systems for herbs, vegetables, and a wide variety of specialty crops. 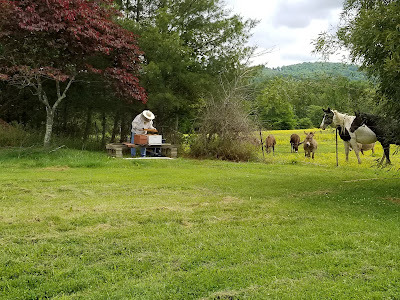 My husband and I also run a very small farm in western NC where we raise and board donkeys, keep bees and sell honey, raise cattle on and off, and raise a variety of vegetables and herbs that we sell locally and on-line. I am also an author, consultant, and public speaker.